With friendship day right around the corner, it's a good time to throw back to the ones you spent the best years of your life with. It's true when they say that childhood friends are irreplaceable because no one in the world truly knows you the way they do. You will make many more friends at work and in social circles but none will come even close. 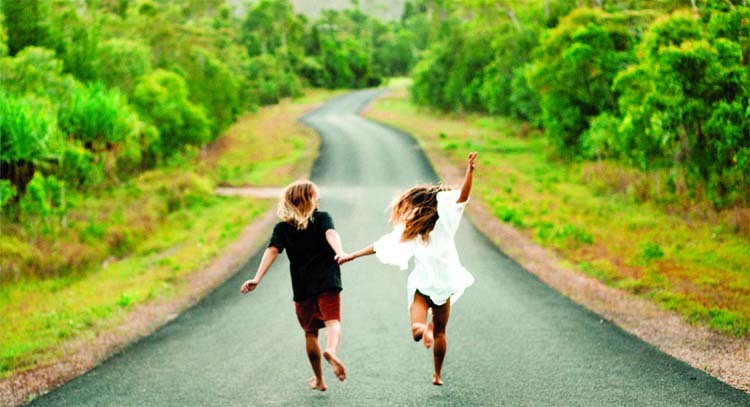 Here are 6 reasons why childhood friendships really are the best ones. You have history together. From the time you failed the Math test to the stage when you experimented with (now awkward) goth look, they've seen and experienced every last bit of it with you. You may be able to hide your dreadful first crushes, terrible teenage haircuts and gawky first kisses from everyone else in the world...except them. They’ve been a part of the most defining years of your life and sometimes, they will not let you forget it. You may not live nearby by anymore. You may not live in the same state or even continent for that matter. But that won't change anything. You can always pick up the phone for a videocall or a text talk and the thousands of kilometers will melt away because you share that level of closeness and comfort with them. They’ve been by your side through high scores and heart break. Never once have they bailed on you, no matter how bad it got. So there isn't a single doubt in your mind that they’ll stick it out with you, even if times get rough. With your childhood buddy, you'll never need to repeat backstories because they’ve lived with you through it. Be it drama on the family, relationship or friend front, they know all of it. You’ve never need to give detailed explanations of why things are the way they are. You may lose touch with them. You may find new friends. You may move to another country. You may replace them with your significant other. Whatever it may be, you can always pick up where you left off with them. Awkwardness doesn’t exist because of the deep bond you’ve shared through the most memorable times in your life.